Fujifilm Medical Systems USA Inc. has introduced the world’s first 85-cm, 64- or 128-slice, wide-bore computed tomography (CT) imaging unit for oncology on Oct. 21 at the 60th Annual Meeting of the American Society for Radiation Oncology (ASTRO) in San Antonio. 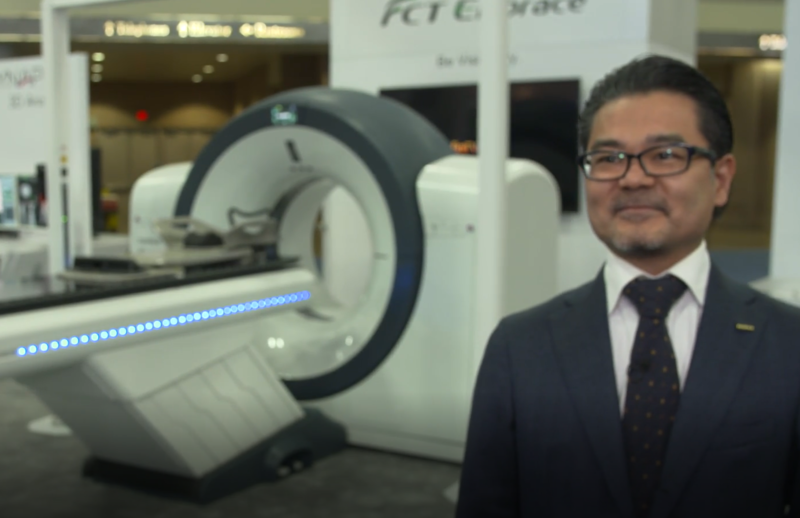 Called the FCT Embrace, the system marks Fujifilm’s foray into the CT market, expanding the company’s end-to-end diagnostic imaging product portfolio. 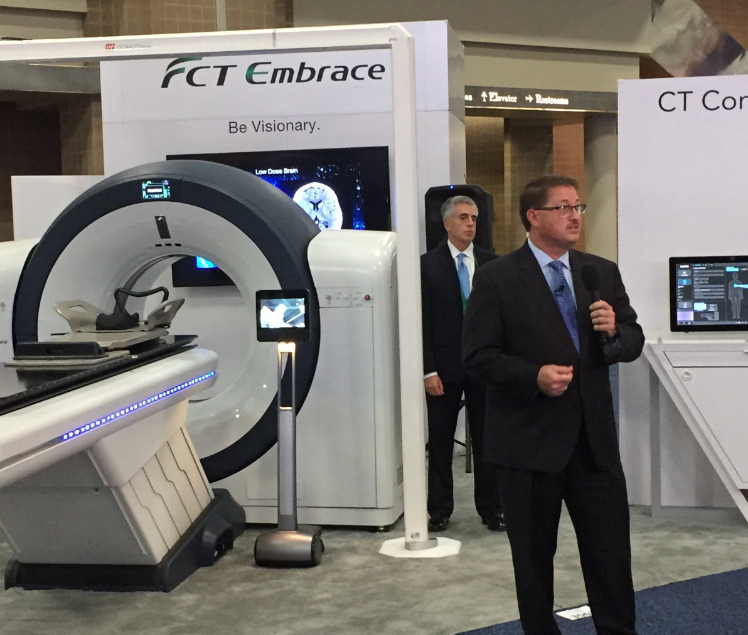 The FCT Embrace is optimized for oncology and radiology applications, providing enhanced and efficient CT simulation with radiation therapy treatment planning capabilities, on an easy-to-use, standardized platform. Billed as a game-changing system, the unit features the widest table top on the market at 49 cm, and accommodates bariatric patients up to 660 pounds, boosting patient comfort, security and relaxation throughout the imaging process. The solution also allows oncology patients to be imaged in their optimal treatment position at the full clinical image quality afforded by 64-slice or greater systems for the first time, maintaining accuracy requirements without compromising image quality. Created after years of R&D and, most importantly, factoring in customer needs, the FCT Embrace harnesses the talents and offerings of partners such as Analogic, RaySearch, Imalogix, and LAP of America Laser Applications. Built on pillars that include “Reliability in Action,” “Flexible Scalability,” “People-First Design,” and “Visionary Performance,” the system delivers image-capture and processing innovations designed to drive greater confidence through improved resolution with less noise. Highly responsive customer service is an additional benefit. Fujifilm’s solutions span diagnostic imaging, healthcare IT, life sciences and the drug development process. More information on Fujifilm’s solutions is available at www.fujimed.com. Fujifilm enters oncology market with debut of big-bore FCT Embrace. Appl Radiol.